When you think about your ad strategy, it is critical to think about it in a holistic, cross-channel way. You can’t advertise in a vacuum, so you need to make sure that your digital advertising campaigns are integrated with your larger marketing plan. Think about: Which messages are your consumers hearing from you as they rapidly navigate across channels? And, is that cross-channel message continuous and relevant for the consumer? As a marketer, you need to think across channels in your digital advertising. 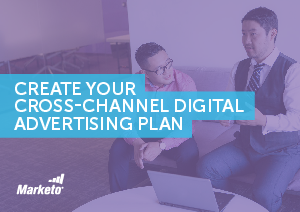 Download our handy worksheet to learn more about creating a cross-channel digital advertising plan and then put it into practice!